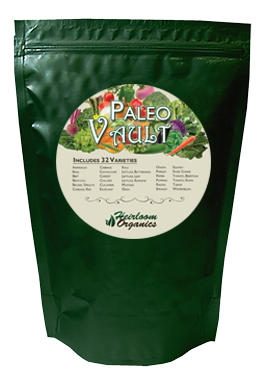 As suggested by our customers, we have created a seed pack based around the Paleo Diet. Popularized by Dr. Loren Cordain, the Paleo Diet has taken off to become a healthy alternative to fad diets. It is based on the principal of avoiding modern, processed foods. Our pack contains 32 varieties of healthy fruits, vegetables and herbs for your dietary needs.